Photo Caption: LITs and Diane Genco weed and clean the parking lot on Central Ave. 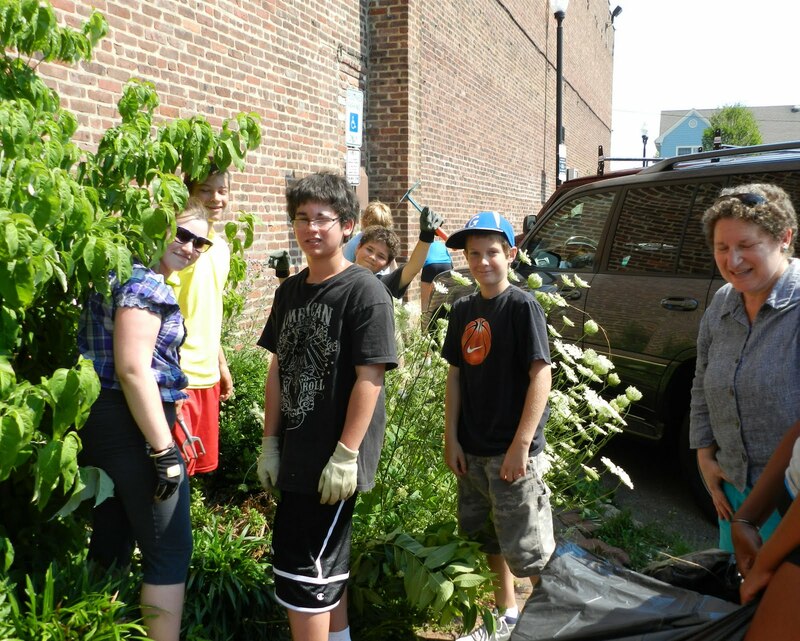 Equipped with garbage bags, gloves, and various weeding tools, Leaders in Training got to work on cleaning up the town. Westfield Area Y’s Leaders in Training camp, located in the Robert and Virginia Bauer Family Branch, is for teenagers who want to learn how to become future camp counselors. This camp combines elements of work and play to bring out the leader within each camper. Campers engage in daily activities that are both mentally and physically challenging which prepares them to be future ‘CIT’s and vital citizens of their community. 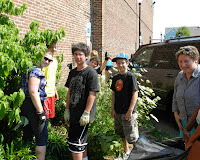 With guidance from the towns butterfly guru, Diane Genco, a team of over 20 kids and counselors weeded the Westfield parking lot on Central Ave between Starbucks and Just Bead Yourself. The area will be transformed into a butterfly garden. With the completion of the weeding and cleaning, the campers and Genco will return to mulch and replant. Flowers and plants specifically grown to attract butterflies will be used. Genco, who is also the executive director for the New Jersey School-Age Care Coalition (NJSACC), promotes the development of out-of-school programs, specifically outdoor and nature based activities. This project to revamp an area of Westfield is a perfect fit for these leaders in training. These kids improve their leadership abilities and team-building skills by working together to enhance our environment. Their goal to transform the area into a butterfly garden also parallels this year’s Westfield in Bloom efforts to “attract the butterflies”. Keep up the good work, this type of involvement is what keeps Westfield blooming!